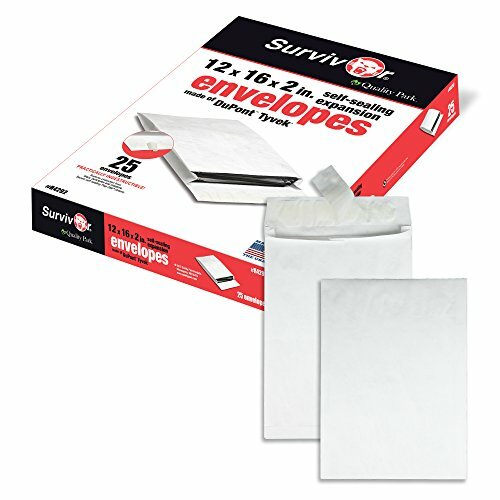 9X12 SELF-SEAL KRAFT ENVELOPES: STRONG ENVELOPES! Do you often mail catalogues, brochures, promotional material and more, but find most catalog envelopes easily crease and tear? Would you like a great value durable catalog envelope pack for Home and business mailing? catalog mailing, with a strong, secure QUICK-SEAL closure guaranteeing catalogues and documents arrive safely and securely! 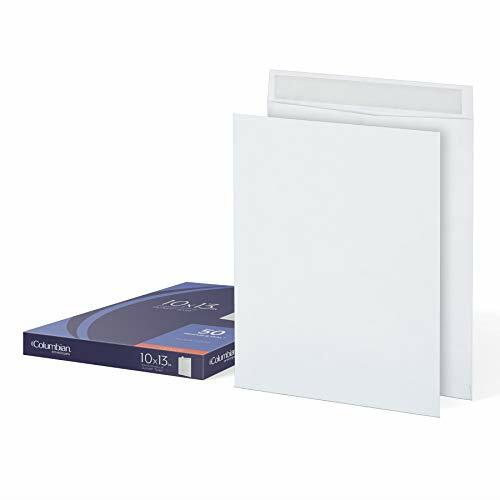 - Large 9 x 12 envelopes for thicker catalogues and documents. - Tough 28lb golden kraft paper construction. - Suitable for bulk mailing campaigns and custom printing. 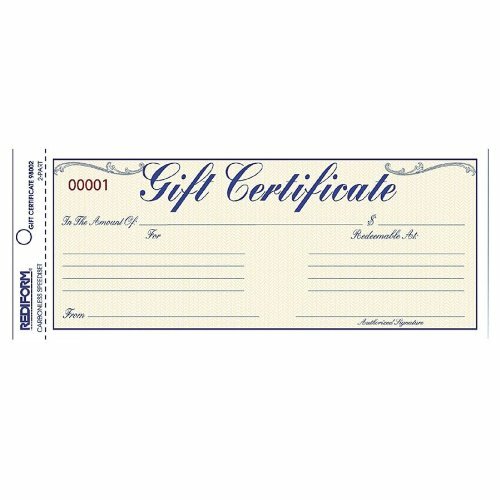 - 100 envelope box for everyday business use. 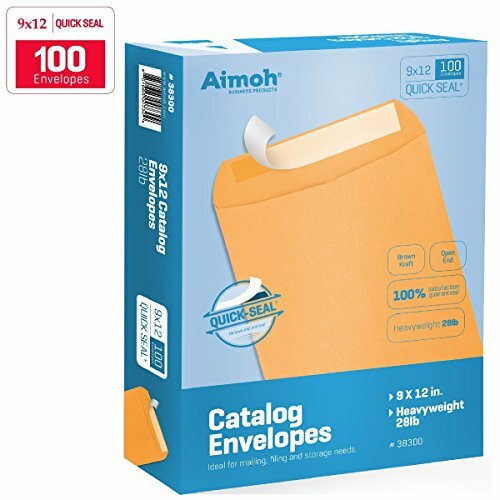 durable stock that won't easily tear when mailing thicker catalogues, Aimoh's 9x12 Catalog Envelopes are the perfect choice! Click "Add to Cart" now! 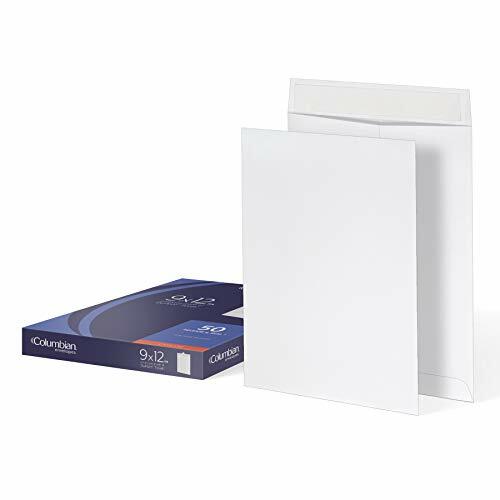 9x12 SELF-SEAL Kraft Envelopes; ideal for everyday business use and professional mailings, each box of our premium 9x12 mailing envelopes with the peel and seal closure provide great value 100 envelope supply, for the best value on the market! Superior protection for bulky items. Durable envelope resists punctures, tears and moisture. Expands on sides to fit binders, books, reports. Use instead of cartons or boxes. Lightweight envelope saves on postage. Clean, bright white color presents a professional image. 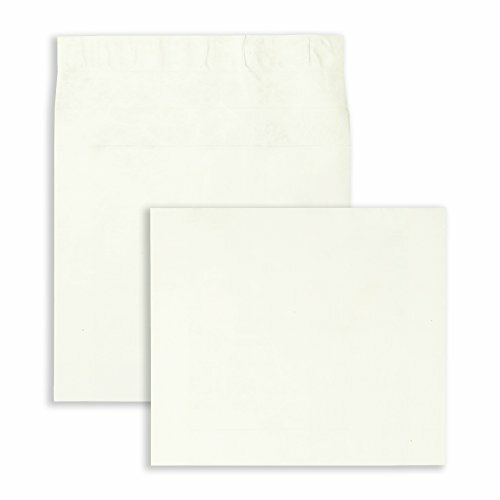 Tyvek white expansion envelope features a Flap-Stik self-adhesive closure. Resists punctures, tears and moisture. Expands on sides to fit binders, books, reports. Use instead of cartons or boxes. Ungummed flap is ideal for interoffice use. Heavyweight 28-lb. paper resists tears and rips. Extra large envelopes can hold more pages. 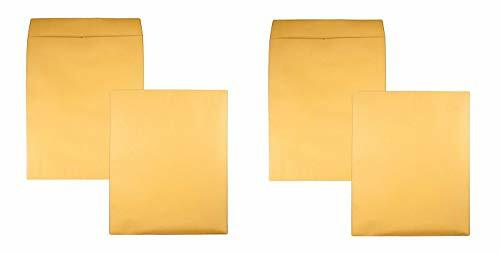 MULTI-PURPOSE: Use these Brown Kraft envelopes as office envelopes, interoffice envelopes, storage of documents, etc. Expandable Tyvek mailer delivers the best possible protection at a shipping-cost-saving weight. Inserting and removing contents is easy because of its horizontal, open side orientation. Self-adhesive Flap-Stick closure provides a secure, peel-and-press seal. Clean, crisp look makes a professional impression. Press it-Seal-it Envelopes feature a heavyweight construction and self-adhesive seal. Take off the protective strip, press the flap closed, and the envelope is sealed. A durable ALL-PURPOSE mailing envelope. Ideal for mailing documents, catalogs, direct mail, promotional material, brochures and more. Features: Convenient and secure self-sealing Grip-Seal closure. Simply peel off release strip and press down for a quick, secure seal. Heavy-duty 28lb white wove material. Open end closure. Sized: 9" x 12". Quantity = 100 envelopes. Made in the USA. Warranty: 1 Year Limited Warranty. Warranty will replace defective product upto one year from purchase date. Flap-Stik SELF SEAL REMOVABLE STRIP: provides a clean, quick seal immediately upon contact. Simply peel off the adhesive strip to create a full, secure seal that won't open or tear. The self-seal peel-off strip protects the adhesive from dust for a longer shelf life. The releasestrip FEATURE of the Survivor Tyvek envelope make the contents easily accessible to the recipient, yet maintains the security of the envelopes contents. MULTIPLE USES: DuPont Tyvek provides superior toughness and durability compared to heavy kraft paper and even other high-strength materials used for envelopes and packaging. It resists rips, punctures and moisture, providing much more protection for the contents of your envelope. POSTAGE SAVING OPPORTUNITIES: Tyvek is also lightweight and can save on postage as well. Major overnight shippers and the United States Postal Service choose envelopes made of Tyvek for priority packaging because it protects important things, ensuring that they arrive in good condition. 25 ENVELOPES IN EACH BOX: provides a great value to ensure that you have enough for all your personal and professional correspondence. 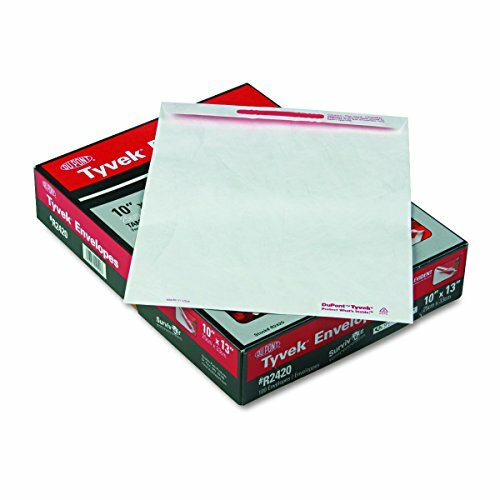 Tyvek exterior makes these envelopes almost impossible to rip or puncture. Lightweight material reduces mailing costs. These durable, reliable envelopes provide an extra layer of protection for your documents. Tyvek white envelope with a 14-lb. paper stock. Brown Kraft large formatted envelope with a 28-lb. paper stock features an ungummed flap closure. 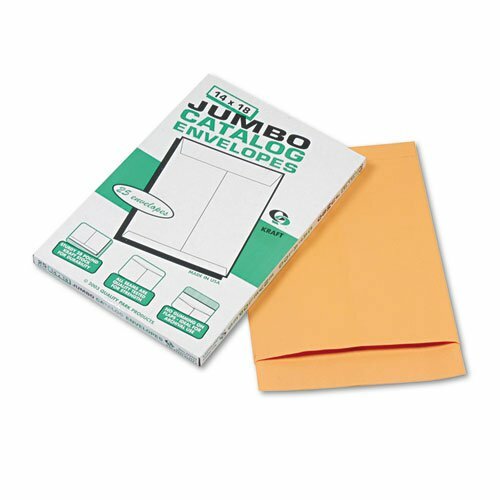 Quality Park Jumbo Size Kraft Envelope, 14 x 18, Brown Kraft, 25/Pack Extra large envelope is ideal for storing a wide variety of materials. Ungummed flap makes it ideal for interoffice use. Heavyweight paper stock. Envelope Size: 14 x 18; Envelope/Mailer Type: Catalog/Clasp; Closure: Ungummed Flap; Seam Type: Contemporary. Heavyweight paper stock. 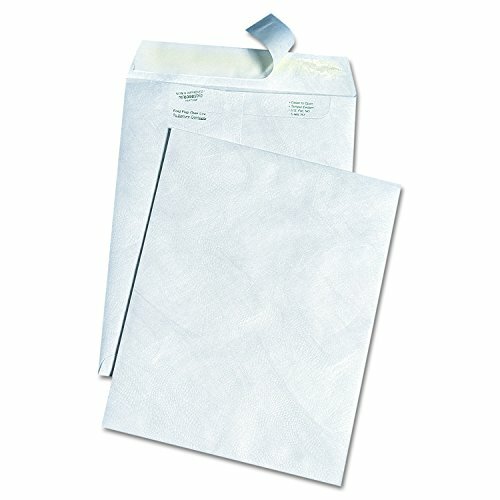 These Tamper Evident Envelopes feature flaps with patented tamper indicating panels. Once flaps are raised, the words "OPENED" appear in red and cannot be repaired to hide evidence of tampering. 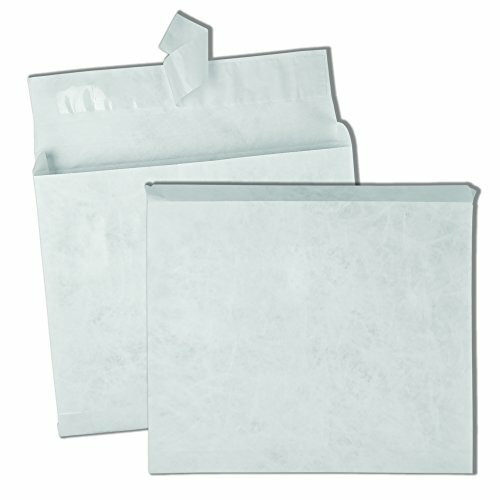 Water-resistant and moisture-resistant envelopes are made of DuPont Tyvek so they won't rip, tear or puncture. Design is much stronger and more secure than traditional paper envelopes. These envelopes are lightweight to save on postage costs and easy to use. Simply peel and seal. Expansion envelopes offer security for bulky mailings with a 2" expansion gusset for extra-thick mailings. Great for computer reports, catalogs and binders. Large end-opening allows easy document insertion. Convenient Redi-Strip closure requires no moisture to seal. Simply peel away the liner and seal. 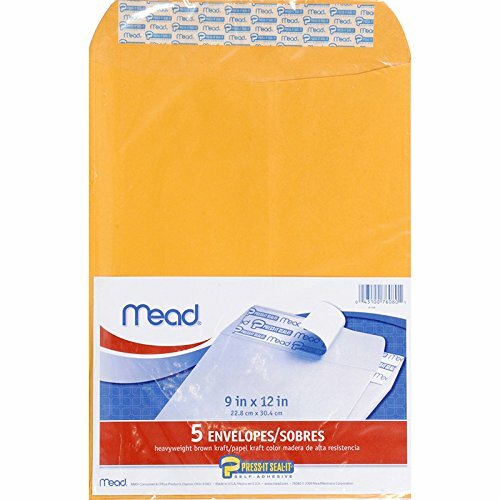 Envelopes are made of a durable, 40 pounds Kraft. When you need the best, make sure you get the best. 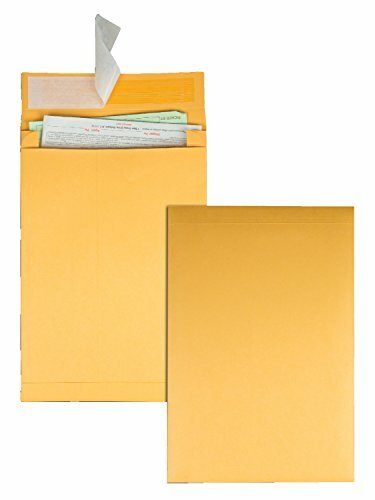 The File King presents a pack of 100 Kraft brown negative preservers made from heavy-duty material. Measuring 14 "H x 17 "W, these folders aim to protect the film within the master jacket or for film transfers. 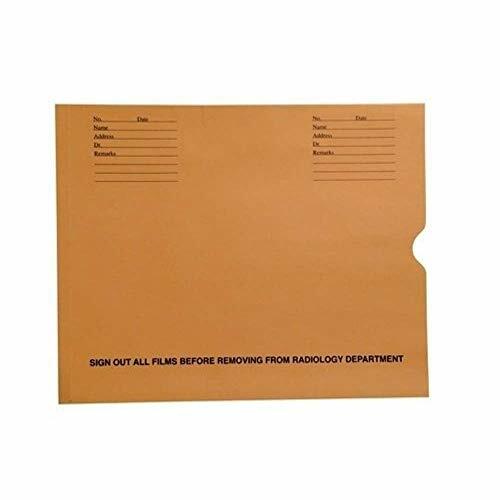 These durable envelopes are intended for active film filing application and can be used in almost any radiology filing system. 100% American-made and created with 20% recycled content, this pack of 100 negative preservers folders has the quality and dedication to the craft that only a long-running family business can provide. You know what documents you need to take care of; treat them well with The File King. X RAY JACKET - X-ray transport and storage are now more secure. This dental and medical archival film preserver has a " expansion and an open end so restoring and retrieving x-rays in your business is now much easier. HEAVY-DUTY - These folders are heavy-duty and pre-printed because they're meant for professionals who expect the best. Effectively transport and organize the x-rays you need at the office. OFFSET THUMB CUT - The offset thumb cut makes this system of organization easier than ever. The standard imprint on both sides means any job involving x-ray film is easier to locate than medical filing folder systems. FAMILY BUSINESS - A family business since 1972, The File King aims to provide you with the organization you crave at home, school, and work. This xray folder set is more than a bundle of folders; it's from the family. MADE IN THE USA - All File King products are proudly 100% Made in the USA and are made from 20% recycled content. It's time for folders made from American trees by American workers, all with the whole world in mind. Columbian 9" x 12" Catalog Envelopes are made of DuPont Tyvek material for reliable toughness and durability. Have important or proprietary information that must reach the sender? These rip- and moisture-resistant catalog envelopes outperform their paper counterparts. Even heavy kraft paper envelopes can turn soggy under bad conditions. Envelopes made with Tyvek material withstand all shipping hazards rain, sleet, snow or mishandling. 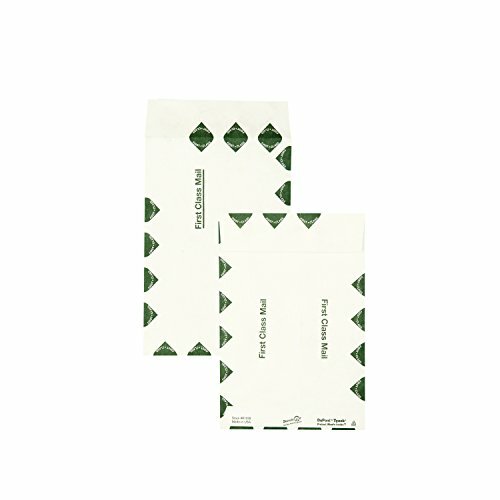 Tough, lightweight Tyvek envelopes come with an easy-to-use Release & Seal envelope flap. Just peel the paper strip and press no moisture required. Your mailing will reach its final destination with no worries, no fuss, just peace of mind. 9 x 12 Inch Tyvek envelopes mail bulky documents or most anything that fits. USPS and overnight-shipping approved! 50 Per box. Tyvek is a registered trademark of DuPont. 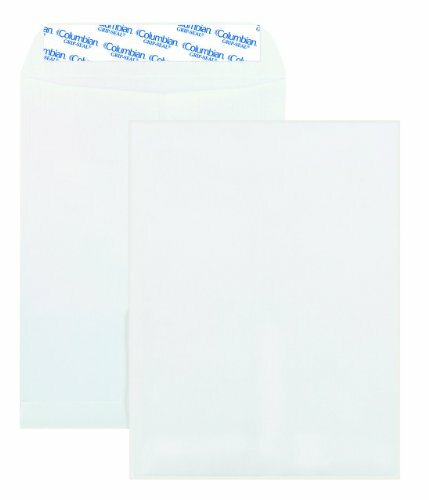 Columbian 10" x 13" Catalog Envelopes are made of DuPont Tyvek material for reliable toughness and durability. Have important or proprietary information that must reach the sender? These rip- and moisture-resistant catalog envelopes outperform their paper counterparts. Even heavy kraft paper envelopes can turn soggy under bad conditions. Envelopes made with Tyvek material withstand all shipping hazards rain, sleet, snow or mishandling. 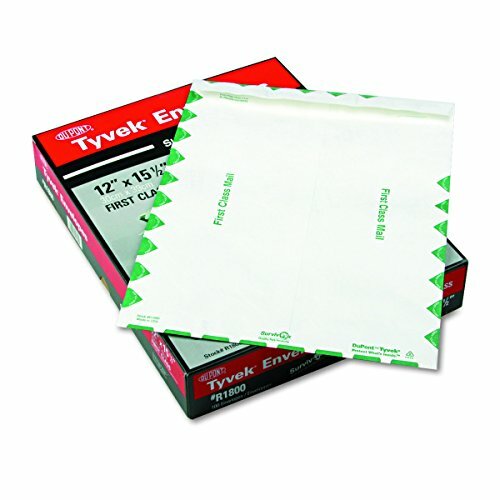 Tough, lightweight Tyvek envelopes come with an easy-to-use Release & Seal envelope flap. Just peel the paper strip and press no moisture required. Your mailing will reach its final destination with no worries, no fuss, just peace of mind. 10 x 13 Inch Tyvek envelopes mail bulky documeets or most anything that fits. USPS and overnight-shipping approved! 50 Per box. Tyvek is a registered trademark of DuPont.